This review has been supplied by forum member Bledha! We thank him for this excellent read. If a community member wishes to produce front page content, please message Confusis (John) on the forum for more information! With all the options on the market today covering everything from artisanal combed and expensive custom cables to shrink-tube wrapped dollar menu type items from big international e-tailers – it can be difficult when searching for the ever elusive middle ground. 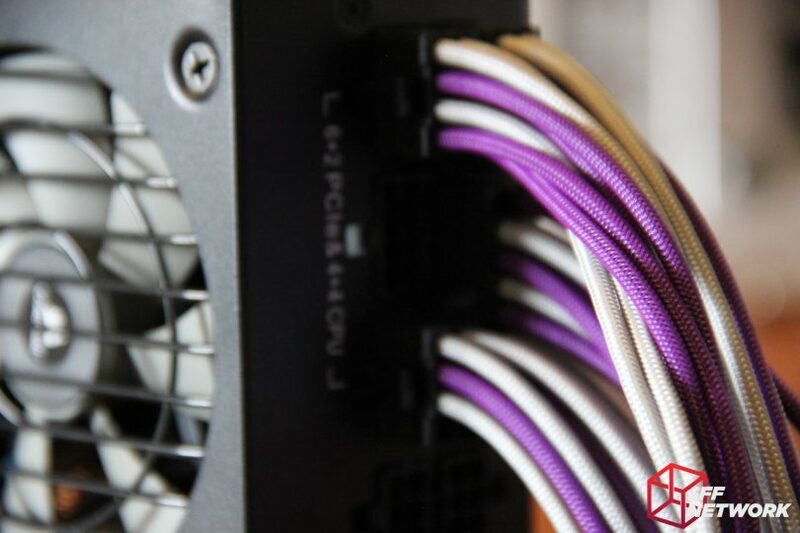 While stuck deep in that search, modDIY continued popping up around the web, and so with a color palate selected from some of their other menu items, a custom batch of cables was purchased for a relatively smaller tower-style build. CableMod is one of the companies that comes up the most when discussing custom power supply cables, and for the same configuration listed above, it would set back a buyer $95.60! 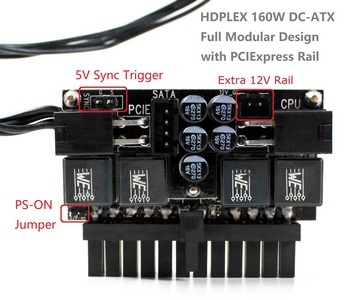 The difference in price between the two is near $46 dollars when considering the $20 CableMod flat-rate for shipping – modDIY threw this in for free. Given that price difference, is there a sacrifice in quality or looks? Here in the EU, cables went from purchase to installation in 29 days, shipped from Hong Kong and ordered through email with one of the service representatives. Three emails altogether: desired specs, quote (and 10% discount applied when asked) and a custom order set up on a modDIY account. After that, cables were made and shipped out 2 days later. Needless to say, majority of the time is spent in shipping, but it wasn’t the worst observed with regular Hong Kong post to Europe. Service representation was fast and friendly, getting through an entire custom order in 1 day, customs declarations were filled properly and breezed through controls as a result, and packaging was good for the product. Cables matched length specifications given to the service rep (which were all custom) and the quality seems to be quite good. Colors were accurately depicted in the photos on the site. The site does not specify exactly what the material used is, stating “3 wire braid sleeve” only, but it looks to be a polyethylene terephthalate based (PET) material. A common criticism of this type of sleeving, due to a generally wide availability and different standards being used by every individual or company, is that it has a loose weave (or braid) and so it shows the underlying cable. That was not an issue here, as can be seen, this was quite a tight weave which gave no visual path to the underlying cable. modDIY must have found the perfect size to sleeve with on their American Standard UL1007 18AWG wiring because it looks and feels of good quality for the price. All the cables were without shrink-tubing at the connectors. That is, all except for the 90° SATA cable requested, which had tubing at the drive side. They seem to use standard plastic black connectors on all ends, which seem solid enough to withstand use for a while, but this will be seen over time. Inside they use gold plated pins for connection. 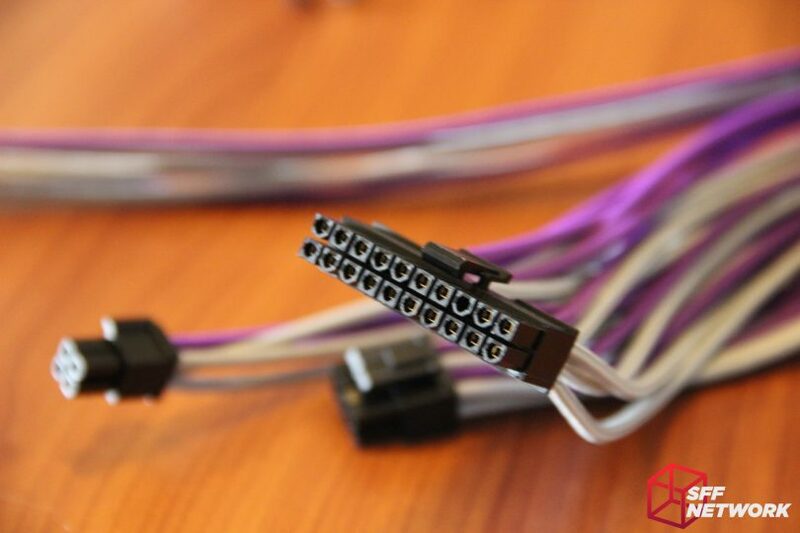 Presumably, modDIY uses the same connectors they sell for these custom cables, and so it would seem a likely possibility to have white, red or green connectors on a custom cable order as well. Perhaps they have even more, but the catalog is extensive. Installation was straightforward, as one would expect it was the same as installing the regular cables – not much to report here. The only issue that came up was the pressure the cables had (or tendency to bend) in one direction, likely from being stored like this on larger spindles. The connectors at the ends had both retaining clips facing inward, the direction of the stress. The issue here is that when installing, if a connector must be turned to be plugged in, the cable will follow suit and bend wildly or splay the cables widely. 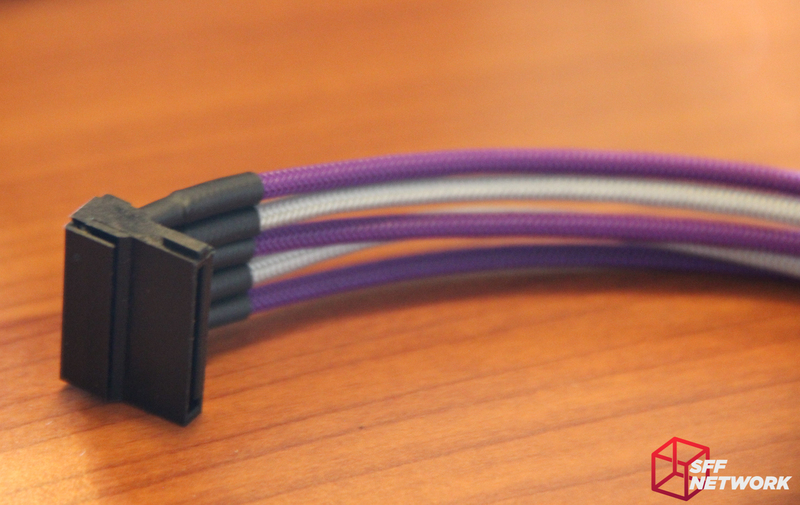 Corsair had a clever solution to this on their included motherboard cable with the SF450 (and likely SF600), where the connectors oriented in different directions on each end. Hopefully the pressure will reduce over time, and if not, it will be required to contain or tie them in some way. These custom cable sets represent an excellent entry point into the category, with accessible prices leaving out any discernible quality issues that can be seen on other larger sites that sell cheaper cable sets. 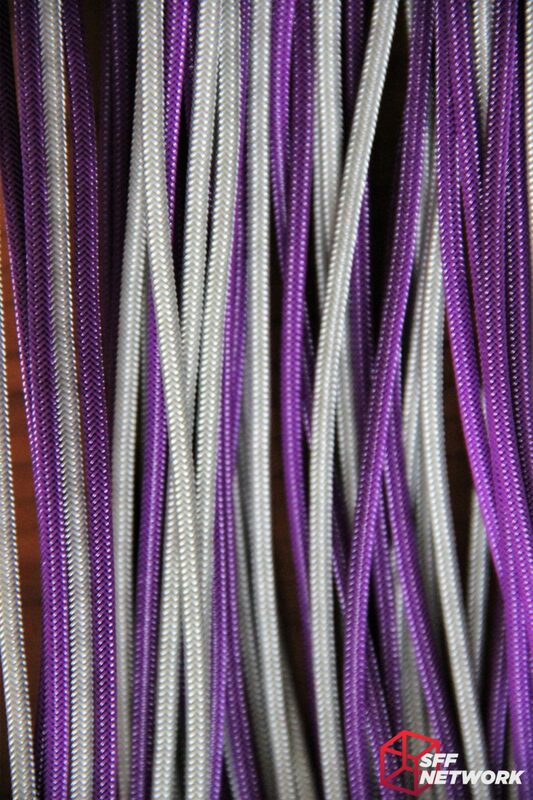 If a softer, easier to manage cable is required, perhaps a custom order from a site with different material choices would be necessary, as these were a little stiff and uncooperative at times. That being said, they are remarkably more usable than the Corsair provided cables. The quality seems tightly controlled here, great colors, service was prompt and courteous and the cables worked sufficiently for what they were intended. Of course they likely won’t match the quality of individually measured cables combed to your preference through a supplier hunched over their basement desk meticulously, but for what you get here – they are a seriously acceptable choice.